I coach humans how to be better understood by their dogs. 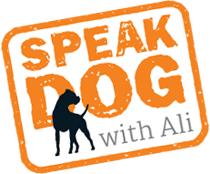 Unlike human languages based on speech and words, I will coach you how to communicate with your dog through intention, body language, patience and kindness. The relationship of human and canine is one of the most special inter-species relationships in our world and dogs can be so clever at adapting to how we live, yet sometimes get a bit confused about their role within our families. An example of how we inadvertently give dogs the opposite message than that which we mean is eye contact. As humans we recognise the importance of eye contact to improve our relationships, but did you know that with dogs, it is totally the opposite? To make each other more comfortable they use very little eye contact. In fact, eye contact can sometimes be threatening to a dog and at the very least signals ‘get ready’ something is about to happen. Amichien Bonding® teaches us wonderful little insights into how a canine sees the world such as this. 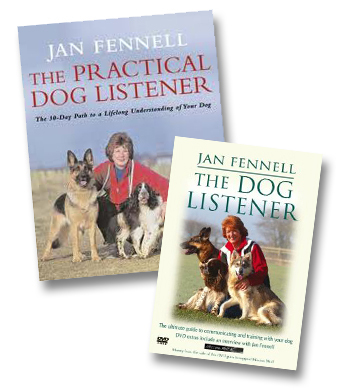 Developed by British dog expert Jan Fennell, the method is kind, promotes calmness, a willingness to work with and cooperate with humans and works simply with the nature of the dog to achieve desired behaviours and lessen unwanted behaviours. Even for particularly anxious dogs, this method works beautifully as we work to take away any pressure from the dog allowing him to start to think and use his self control rather than being forced into reacting, which can result in aggression or other fear based behaviours. There’s no physical dominance in this, no gadgets, no shouting. We will implement a structure, however, because all canines in nature that live in groups strive for some level of group organisation to survive. I help families ensure there is a calm and consistent structure in their own home that allows the dogs to relax and allows them to choose us as decision makers. My area of expertise is not “dog training”, “obedience work” nor is it a competitive sport, all of which can be delightfully life enhancing activities humans and dogs can do together. However, these could be seen as the icing on the cake and I can help you bake a really wonderful cake. You can expect to come away from a consultation with real clarity about what to do in the really key areas of a dog’s life to teach calm and confidence. You will have discovered and taken the first steps towards developing a new and deeper relationship with your dog. I will offer you my support and guidance as much as you need in these early days and for the lifetime of your dog. After a consultation you can expect to come away with a four part plan of action which will inspire more confidence in yourself, in your dog and your dog’s confidence in you. You will have discovered and taken the first steps towards a wonderful new relationship with your dog, and I will offer you my support, information, and further guidance for the lifetime of your dog.